The project included roof work, specialist concrete repairs and decoration, window frame refurbishment and new double glazed units. 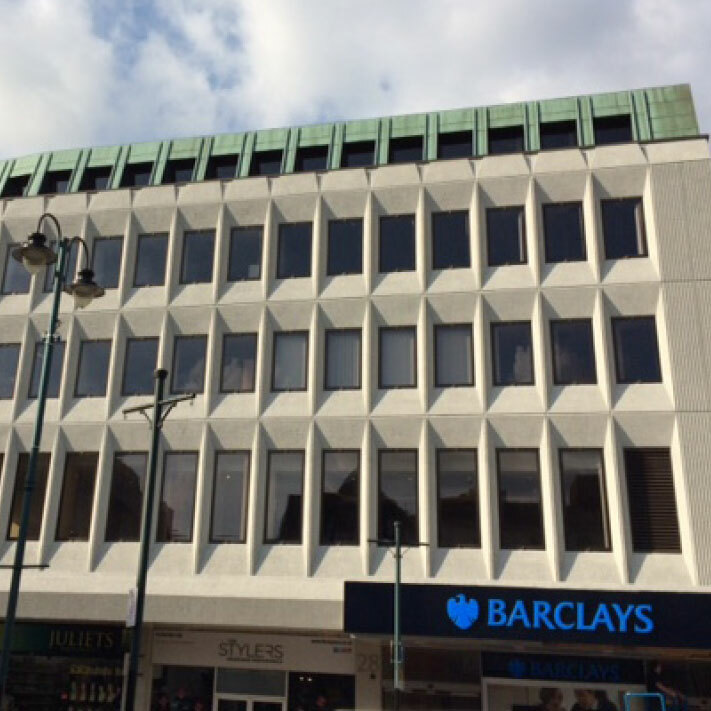 This project took place in the busy pedestrianised city centre, where safe access to adjacent premises such as shops, some of which were under the building's canopy, was paramount, particularly as the refurbishment was external over several floors. 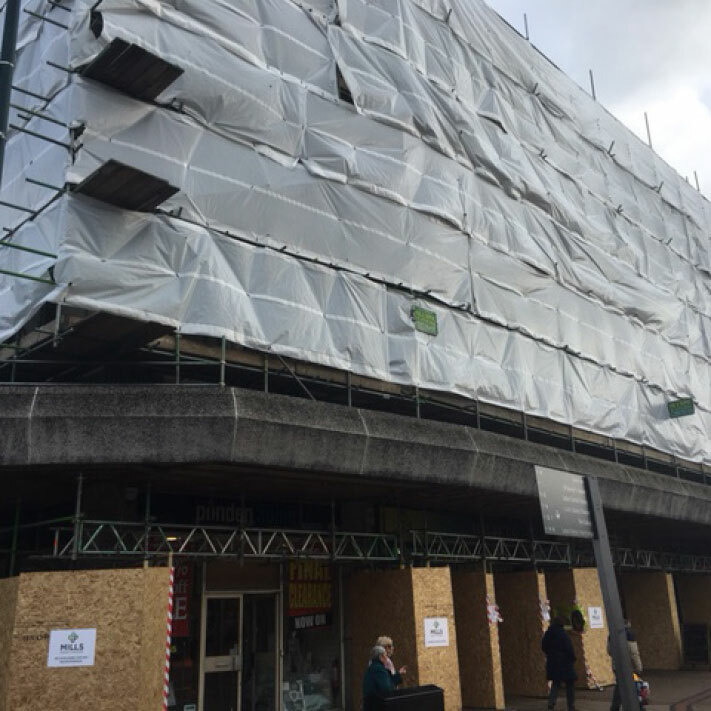 The site was fully hoarded and there was sheeted scaffolding.